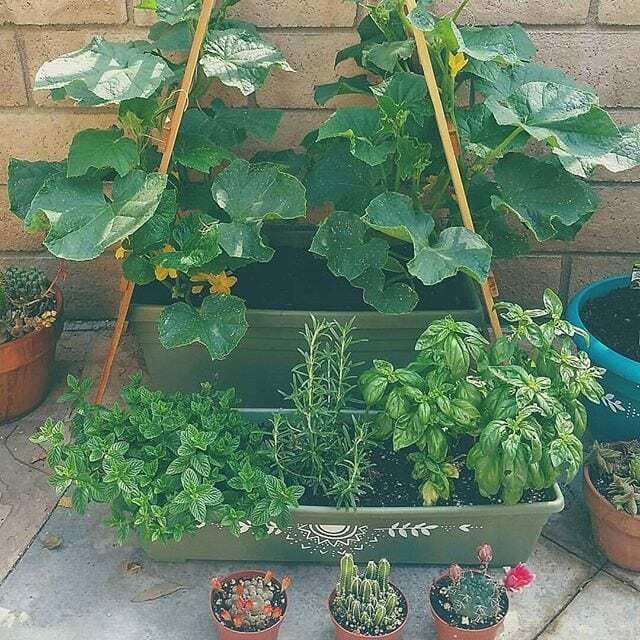 More SoCal Success from Kim E.
Our good friend in Southern California, Kim E., decided to try Great Big Plants Compost Extract this summer and was gracious enough to share some of her results along the way! 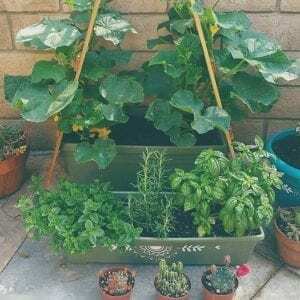 She had set up a small sized herb and vegetable garden in her back yard for basil, cucumbers, and tomatoes (to name a few); when we heard about this we had to suggest she use our products. Using a few small tubs and some wood for trellises she was more than ready for some liquid compost extract. 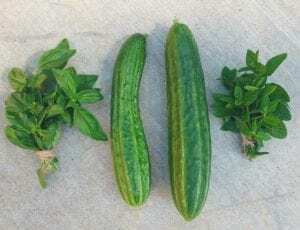 Following a feeding schedule of one pint of diluted product per plant every other week, Kim noted that her cucumbers and basil were already noticeably greener! Our blend of beneficial microbes returns life to the soil, allowing for greater and more efficient uptake of nutrients. In addition to increased nutrient absorption, the microbial life added to soil helps fight infection by reducing nematode prevalence and strengthening the plants natural defenses to insects and fungi. Before long, Kim E. had thriving soil and her entire garden was well on its way to a bountiful harvest. 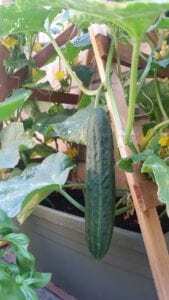 In less than a month of feeding she reported that her Japanese Cucumbers had tripled in size! We couldn’t be more excited for her results and satisfaction, and hope to see much more from her garden in the future! To experience results like these in your own garden, head to GreatBigPlants.com to check out our selection of organic soil amendments and join our Great Big Family today!